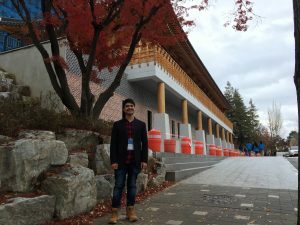 During students visit to South Korea Murad not only participated in the conference but also had an opportunity to learn more about Korean history and experience its culture. Our student visited multiple museums and historical places in Jeonju, wore hanbok, etc. You can read more about our student’s visit in South Korea here.